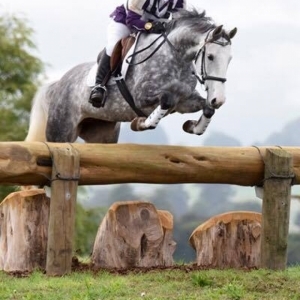 Dressage, Eventing, Farm Hack, Hunter, Pleasure Horse, Pony Club, Show Horses, Show Hunter, Show Jumping, Showing, Trekking. Clydesdale, Crossbreed, Hanoverian, NZ Sporthorse, Warmblood. Graffix is a 5yr gelding by Kinnordy Gym Bello out of a crossbred mare by Meersbrooke Sparkling Ripples. Both stallions passing on their fantastic nature to this gentle giant. Graffix has made plenty of fans so far in his short competition career, continuously turning heads with the crowd behind him. This easy, willing and laid back natured horse is a pleasure to have around. He was bred on steep hill country, broken in as a 3yr and turned out until Oct 2018 where he then began his education and outings. Graffix has proven to be a kind, safe, honest type of horse and what he lacks in athleticism he makes up for in attitude, always trying hard to please. With time to develop and mature Graffix will excel in many disciplines. Although green he has a great jumping technique, 3 good established paces and starting to learn basic laterals. He's ridden in a snaffle with more 'whoa than go' ideally suiting a family type home where he would thrive amongst the chaos and be safe enough for anyone to pick up the reins.